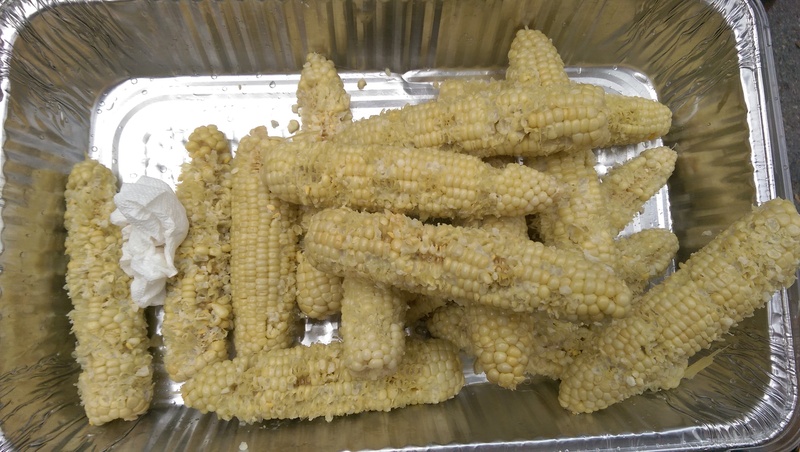 Shippensburg University student Trevor Woolwine of Reading, winner of the 2018 Corn Eating Contest, put away 12 ears to earn the top prize. 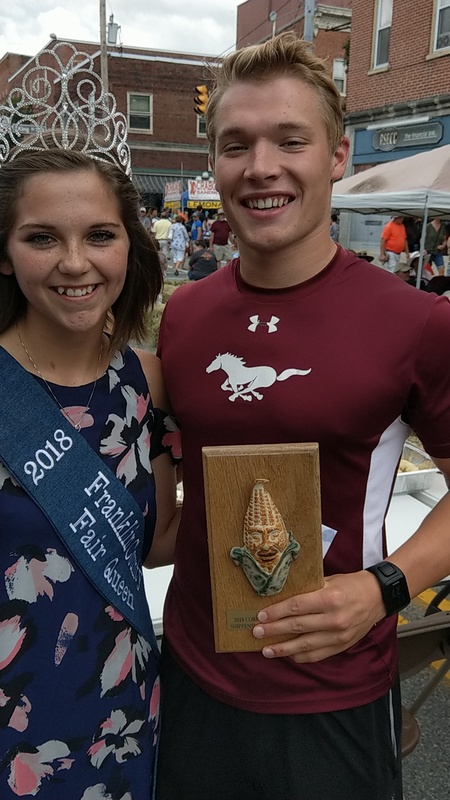 He is pictured with 2018 Franklin County Fair Queen Kelsey Stewart. 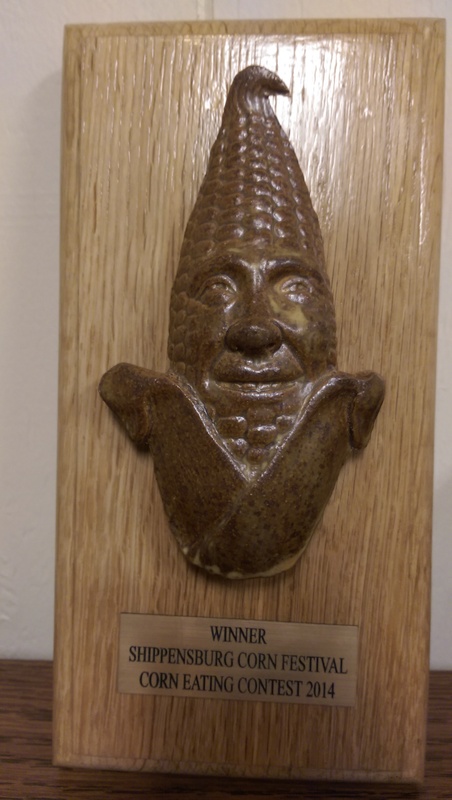 We challenge YOU to sink your teeth into the Shippensburg Corn Festival’s 2019 Corn Eating Contest. The contest will take place at the Main Stage in the King Street/ Earl Street square around the middle of the Mid Life Cowboys’ 11:45 – 1:15 performance. Contestants may sign up until about 11 a.m. – but seating is limited at the contestants’ table, so sign up early to ensure a spot. 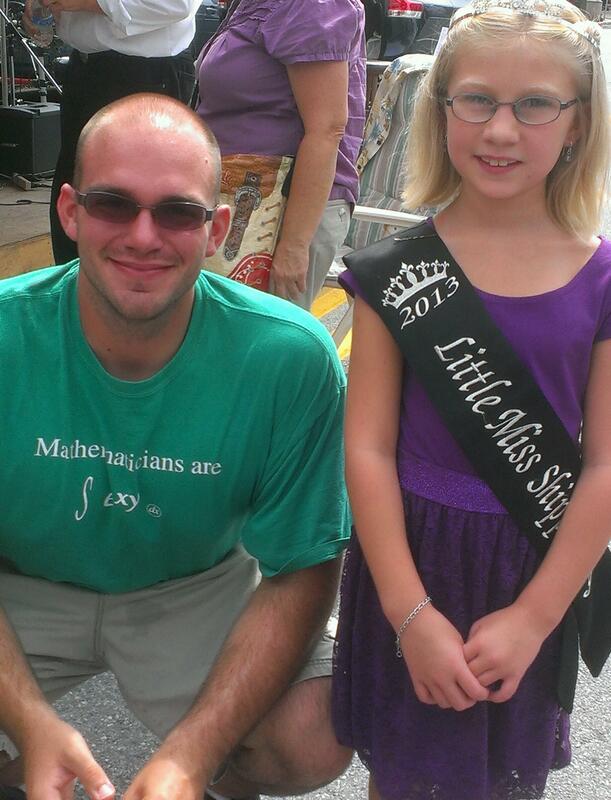 Winners get fame, prestige, cash prizes, photos with local royalty, and all the corn they can eat in three minutes. Losers also get all the corn they can eat in three minutes.